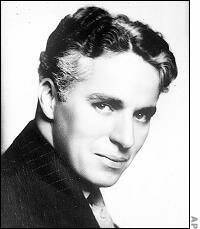 When I Started Loving Myself - A Poem by Charlie Chaplin - Something New Everyday! Today I know: It's called TRUST. Today I know: It's called AUTHENTICALLY BEING. Today I know: It's called MATURITY. Today I know: it's called HONESTY. but today I know: it's called SELF-LOVE. thus I've been less wrong. Today I've recognized: it's called HUMBLENESS. A poem by Charlie Chaplin written on his 70th birthday on April 16, 1959.